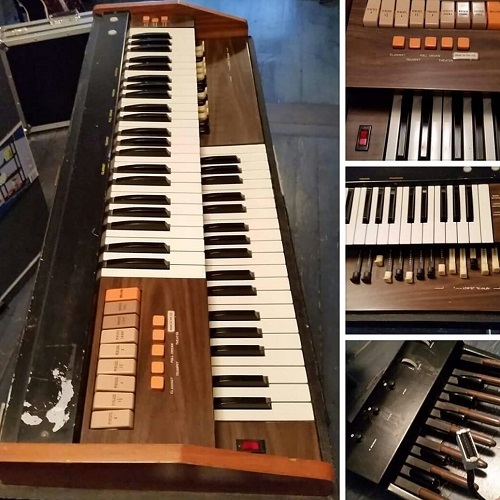 Cool vintage organ made by Elka. Elka was an Italian manufacturer that began in the late 70’s. This is a versatile 2 tiered keyboard has 9 voices, draw bars and bass pedals. Some scratchiness and a couple dead spots. Hence the low price (consider comparable Vox & Farfisa models in top condition fetch $1k and up). This dude has toured the Northeast, lived in a recording studio and spent some time in storage. It is ready to be your psych-rock, garage-gospel best bud.